Driving When Depressed: Should We Do It? It’s not something we consider until we’re in the very midst of it, when we’re feeling depressed, we don’t particularly want to do much, but life dictates that we carry out certain duties. This means, if we live a bit far out into the sticks, driving is our only option. But, should we drive when we are depressed? What If You’re Taking Medication? It depends on many variables, such as the severity of depression, as well as the strength of your medication. But it’s always important to keep an eye on if the medication has any effects on you while driving. Certain antidepressants can slow down your reaction times, and so, you have to take it on a case by case basis. But if you are able to function, and it doesn’t have a major impact on your ability to drive, or to drive well, then it is your prerogative. What If Duties Override Your Own Frame Of Mind? You know if you’re not up to driving, but if there are pressures placed upon you, such as if you’re the only driver in your household, it can go one of two ways, a good way or a bad one! This is why you need to gauge the situation and come up with your own coping methods to ensure that you are focused behind the wheel. 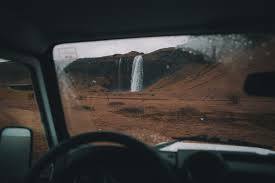 Sometimes, the challenge of getting behind the wheel when we’re not up to it can snap us out of this depression because we have something else to focus on. But this is something that may only work for mild depression and anxiety. Being depressed means that you can’t always trust your instincts. If the idea of driving at that moment in time is a scary proposition, then very simply, don’t do it! A lot of people drive when they are depressed, but it depends on the severity of the depression, and what you are feeling up to at that moment in time. It is important to get out and about, but there are going to be times when you don’t feel like driving at all, even though the situation dictates that you must. And this is why it’s important not just to take your own considerations into account, but also if you’re going to be driving other people too. This entry was posted in Mental Health, Vehicles and Driving. Bookmark the permalink. ← Can Your Country Car Make It In The Big City? Good article, Alan. This is an important problem.